Home / Events / Mind-Blowing PowerPoint. No, Really! PowerPoint Series: Mind-Blowing PowerPoint. No, Really! Why are most presentations so bad? Truly terrible? Actually few people enjoy creating, delivering, or watching PowerPoint presentations, so let’s change that. 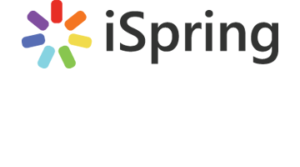 Thursday, July 19th, iSpring will be hosting the 2nd webinar from our awesome PowerPoint series, and sure, you’re invited! We’ll be starting on Thursday, July 19th, 2018 at 2:00 pm Eastern Time (USA). Spots are limited so be sure to save one! Richard Goring is a Director at BrightCarbon, the specialist presentation and eLearning agency. He has helped to create thousands of presentations, and coached hundreds of teams to present more effectively. See you at iSpring's webinars!